Confluent Senior Living has emerged in the past year as an active developer with a national senior housing portfolio and partnerships with three well-established operators. The Denver-based firm has 13 completed communities, with another six in varying stages of construction, Managing Director John Reinsma told Senior Housing News. In the past 12 months, Confluent nearly doubled its portfolio size with the opening of five new communities. Moving forward, Reinsma believes the firm can break ground on two to three new communities per year. Confluent Senior Living is a subsidiary of Confluent Development, which has development interests in office, multifamily, retail and industrial properties. It entered senior living around the time of the financial crisis in 2008 when Denver-based MorningStar Senior Living sought capital and development partners for a memory care community in Colorado Springs, Colorado. The site was a casualty of the recession, Reinsma said. It is now known as MorningStar at Mountain Shadows. “From there, it launched us into the space,” he said. 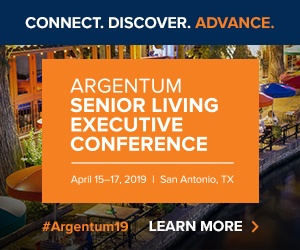 Within a four-year period, senior housing became Confluent Development’s largest asset class, accounting for 50% of its invested pipeline, and the company spun off the senior living division into its own company, with Reinsma at the helm. It was around that time when Confluent found a site in Wildwood, Florida and asked MorningStar if it would partner on developing a community there. At the time, MorningStar did not have the reach to operate a community two time zones away, and introduced Confluent to Vero Beach, Florida-based Harbor Retirement Associates (HRA). Plans for the site did not go forward, but the relationship between Confluent and HRA continued for future properties. MorningStar Memory Care at Bear Creek in Colorado Springs, Colorado is a senior housing community built by Confluent Senior Living. “[MorningStar CEO] Ken Yeager used to work for [HRA Chairman and Managing Partner] Tim Smick, and they still have a great relationship,” Reinsma said. Reinsma has a more personal connection to Confluent’s third operating partner — Englewood, Colorado-based Cappella Living Solutions, the third-party management arm of Christian Living Communities. His grandparents lived in a Cappella community and he got to know the operations and staff. Confluent enters into management contracts with its operating partners, and they are equal collaborators in the development process. Confluent prefers major and secondary markets with barriers to entry that come through a lack of available land, or sites requiring a lengthy zoning and entitlement process. The average length of a Confluent site entitlement process, from selection to ground break, is three years. “We have a deep level of experience with planned-use developments and rezones,” Reinsma said. The linchpin of Confluent’s development strategy is in its operating partnerships. MorningStar, Cappella and HRA are heavily involved in the planning process, from market and site selection through architecture and design decisions for Confluent’s communities. “We never enter a market or select a site without them being fully vetted with our operators,” Reinsma said. Confluent and its operating partners build independent living, assisted living and memory care, and the portfolio is weighted more toward the higher end of the care continuum. Community scales range from a 75-unit combination of assisted living and memory care, to a 160-unit mix of independent living, assisted living and memory care. The firm has resisted the urge to enter age-restricted living, to date. But Reinsma would not rule out the possibility. “What we’ve had success with is building product with some level of acuity,” he said. Community amenities packages are driven by operator experience as well as resident demand. Buildings have multiple dining venues, which is gaining popularity with residents. Higher end communities have extensive fitness and wellness components, pools, outdoor dining, bocce courts and putting greens. Confluent’s operator partnerships allow the firm to have a portfolio of buildings stretching from coast to coast, while catering to the specific demands of the operators. Heading into 2020, MorningStar is focused on communities in Southern California, Las Vegas and the Pacific Northwest. HRA is committed to the Northeast, Florida, Tennessee and Kentucky. And Cappella continues to focus on the Rocky Mountain and Midwest states. With solid relationships in place, Confluent is a long-time holder of its communities. “We aren’t merchant developers and are not building these with the intention of flipping them as soon as we possibly can,” Reinsma said.